Spread in trade magazines and on playgrounds, video game urban legends are a fun little corner of the gaming community. There's no end to the hoaxes, fakes, and spooky stories revolving around video game, but here I'm going to focus on 8 (mostly) pre-internet tall tails. And the best urban legends have a little touch of the truth. One of the biggest video games hoaxes exists because of a bizarrely bad translation in the North American edition of Street Fighter 2. Everyone's favorite milquetoast fighter in a white gi, Ryu, is the main culprit, cryptically stating that "You must defeat Sheng Long to stand a chance." Who is Sheng Long? He's nobody. He doesn't exist. 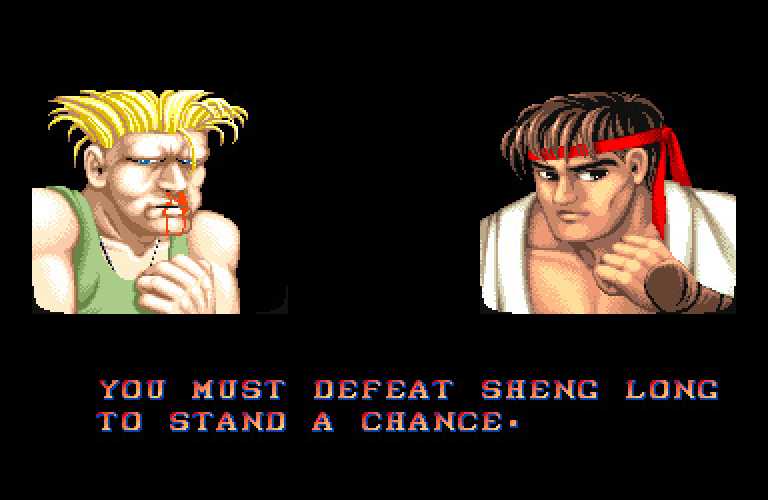 Sheng Long is a mistranslation of Ryu's special move, the Shoryuken. But that hasn't stopped rapid fans for calling on Sheng Long's phantom inclusion in future entries. Thanks to a prank by the magazine Electronic Gaming Monthly (EGM), players were lead to believe that Sheng Long was a secret character that could be unlocked - if you completing the game in a hilariously difficult way. Still, the Sheng Long debacle looms large over the Street Fighter series. Gouken, a secret character included in Street Fighter 4, is said to be inspired by Sheng Long.